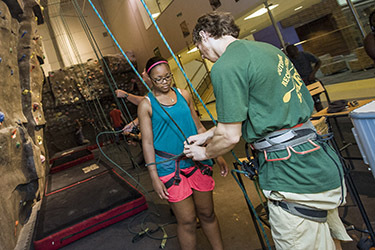 There are numerous opportunities for employment in the Office of Campus Recreation. Our primary hiring period is in conjunction with the virtual Job Fair which takes place in late July, but we accept applications throughout the year. Email any questions you may have regarding a position to the appropriate supervisor. For more information and to see available positions, visit the Career Center website.